Baton Rouge’s burgeoning band Levee Daze “jams” to the song “In the B.A.G.” off their self-titled debut album. The band consists of four LSU seniors: Dominic DeJuilio on the keyboard, Scott Graves on drums, Andrew Borniak on bass and John Trufant on guitar and vocals. The band members said they gained inspiration for their album from the culture of Louisiana and sunsets from the levee, which they can see from their house. Rippling waters, undulating barges and majestic steel bridges have worked in harmony to make Louisiana’s Mississippi River basin an economic and cultural hub for decades. A mile from Louisiana State University, the state’s flagship institution, Scott Graves, John Trufant, Andrew Borniak and Dominic DeJuilio take in the rhythm of the area from the roof of their house on the corner of Aster Street and River Road. It is from their perch, which overlooks the pulsating Mississippi waters entrapped by river’s the natural levees, that these LSU seniors formed the locally acclaimed and burgeoning band Levee Daze—making a “spicy roux” of music in what they see as the unique and opportune environment of their new home of Baton Rouge. The band members said they gained most of the inspiration for their eponymous debut album, which was released on ITunes last month, from the culture of Louisiana, sunsets on the levees and their individual hometowns. “Our sound is pretty reflective of the area,” said bassist Borniak, who along with keyboardist, DeJuilio, is originally from Chicago. It is this diverse and fluid community among the band members Graves and lead vocalist, Trufant, agreed that brought the group together. While living in LSU’s Pentagon dormitory, Trufant first encountered Borniak and DeJuilio playing covers in the dorm’s courtyard during their freshman year of 2010. The former jazz-band-mates invited Trufant, a North Carolina native and blues enthusiast, to join them after meeting in a history of jazz class that fall. John Trufant performs the song “In the B.A.G.” in his home on the corner of Aster Street and River Road where he lives with fellow band-members Andrew Borniak and Dominic DeJuilio. 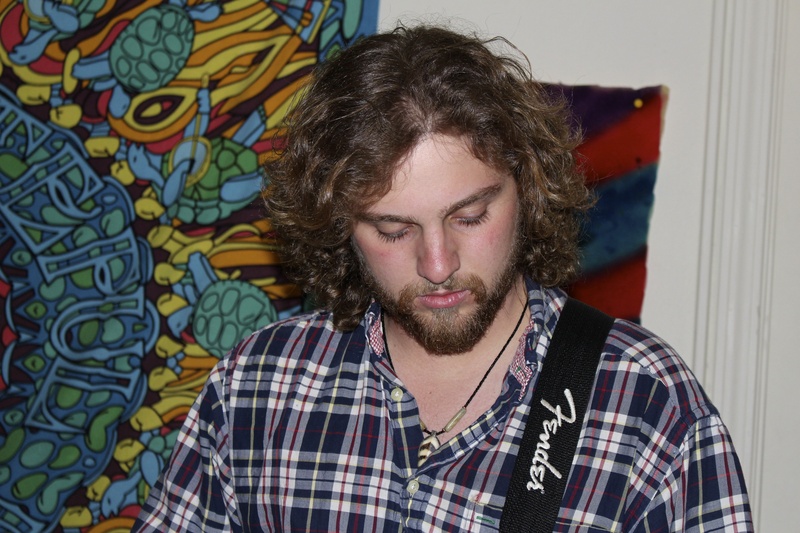 Trufant is a senior at LSU and the lead singer and guitar player for the band Levee Daze. Trufant said he thinks Baton Rouge has some good options for growing bands, but wishes there were more venues downtown that would hire original artists. The trio later joined forces with a drummer whom they claim “spontaneously combusted” in the spring of 2012. They then invited acquaintance Graves to join the band as a consistent member. From then on, the group officially became known as Levee Daze and gained notoriety in the Baton Rouge music scene. By the next semester they had won the Student Government’s Battle of the Bands contest, which afforded them the opportunity to play at the annual Groovin’ on the Grounds concert at LSU with the likes of big-names like Grace Potter and Lupe Fiasco. They considered the LSU concert as their breakthrough and said their creativity flourished after the show. Within the month following Groovin’, the band solidified the seven-song track list for their first album, played at local venues more frequently and even landed a show at the New Orleans House of Blues this past February, which Borniak called the “pinnacle” of the band’s emergence. They attribute their success to the friendly community of musicians and music-lovers who promote original artists, and noted that venues such as Mud and Water and Chelsea’s Café were especially open to local acts. 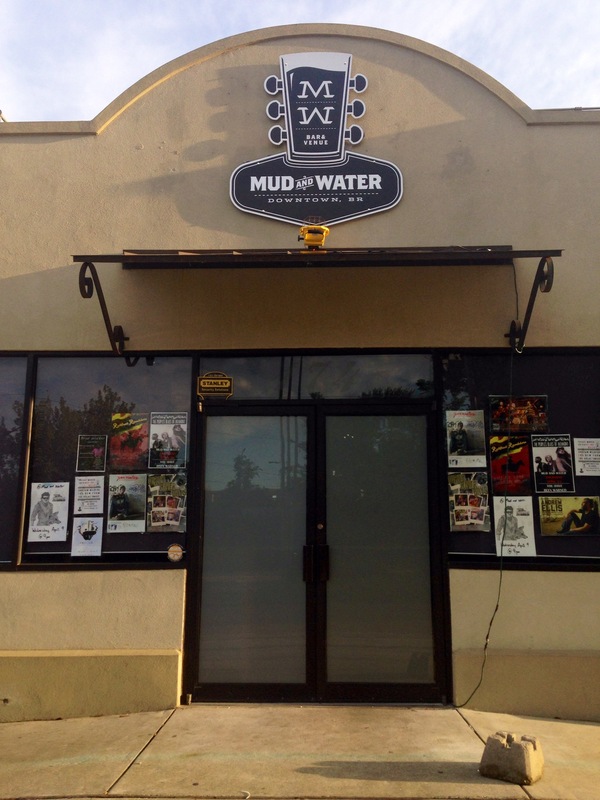 Jeremy Woolsey the owner of Mud and Water said local acts are the “backbone” of his venue’s schedule. Having started his own career in the music industry at Baton Rouge’s college radio station KLSU, he said he thinks Baton Rouge is a great place for young musicians to start out. “It’s a very collaborative community with plenty of energy and places to play,” Woolsey said. The band agreed that they enjoy playing in and attending shows in Baton Rouge because of this collaborative element. DeJuilio explained that it is common for performing bands in Baton Rouge to invite other artists or groups to accompany them or play their original work during local shows. Musicians attend each other’s shows and offer support and advice to other bands trying to make it in the industry. DeJuilio and Borniak said this type of environment does not exist in their hometown of Chicago, which they described as “cut throat.” Borniak predicted that it would have been difficult for a band of Levee Daze’s caliber to gain prominence back home. In addition to the friendships in the community, the band said the bonds within their group have also allowed them to be so successful so quickly. Trufant, Borniak and DeJuilio are all roommates at the Aster house overlooking the river, and Graves lives less than a block away. The band said they spend the majority of their days together, even when they are not playing. They admitted to bickering often, but said it has yet to seriously interfere with their work. “It’s too much fun to let the bad stuff get to you,” Borniak added. They believe that their music has become better as their fun-loving and close friendships have evolved. “But it’s more natural now because we are so familiar with each other’s style,” Trufant continued, finishing his friend’s thought. Graves said he thinks their friendship is palatable to the audiences he sees dancing and having fun at each of their shows, and said their energetic style is one of the reasons they have been so well received. The band plans on taking their spirited vibe on tour this summer across the Southeast, and possibly to Colorado, to promote the album. They don’t claim to have many plans for the future other than what Borniak calls, “doing the living in the moment thing” in their house on the levee. Tags: arts, baton rouge, levee days, local, music. Bookmark the permalink.